يحظى فندق Breakfree The Point Apartments بمكان متميز في محور كوينز تاون سياحة, مطاعم, رياضات في منطقة مركز مدينة كوينزتاون الفاتنة. يقع الفندق على بعد 1.5 Km من مركز المدينة، ويؤمن الوصول إلى أهم مراكز المدينة. يوفر الفندق بفضل موقعة الجيد وصولاً سهلاً إلى أهم معالم المدينة.
. إن Breakfree The Point Apartments حريص على توفير الراحة للنزلاء، فلا يوفر الموظفون جهداً في تقديم أفضل الخدمات وضمان حسن الاستقبال. لضمان راحة ضيوفه، يقدم الفندق الخدمات التالية: تسجيل وصول/خروج سريع, واي فاي في المناطق العامة, صف السيارات, رعاية أطفال, مطعم . في Breakfree The Point Apartments غرف نوم يزيد عددها عن 23 صممت بذوق وعناية لتوفر لك كل وسائل الراحة . بعضها يحتوي أضاً على سجاد, قهوة فورية مجانية, شاي مجاني, مشروب ترحيبي, بياضات. يمكنك طلب اللائحة الكاملة للخدمات في الفندق ومن بينها ملعب تنس, رياضات مائية (غير آلية). اكتشف مزيجاً ساحراً من الخدمة الاحترافية والخيارات الواسعة من وسائل الراحة والمتعة في Breakfree The Point Apartments. لن يشتمل حجزك على خدمة الغرف إذا أقمت أقل من 8 ليالٍ. أمل إذا تعدت إقامتك 8 ليالٍ، ستقدم خدمة الغرف في اليوم الرابع من إقامتك. إذا وقعت ساعة تسجيل وصول النزيل خارج هذه الأوقات، يرجى الاتصال بالعقار قبل الوصول بيومٍ واحد. There is no hot water at night. We waited and tried to fix it for around 2 hours because it is out of office hour but failed. Then I called the manager said there’s nothing he can do and said nobody take shower at 1:30! It is late because we couldn’t have hot water okay???!!!!! 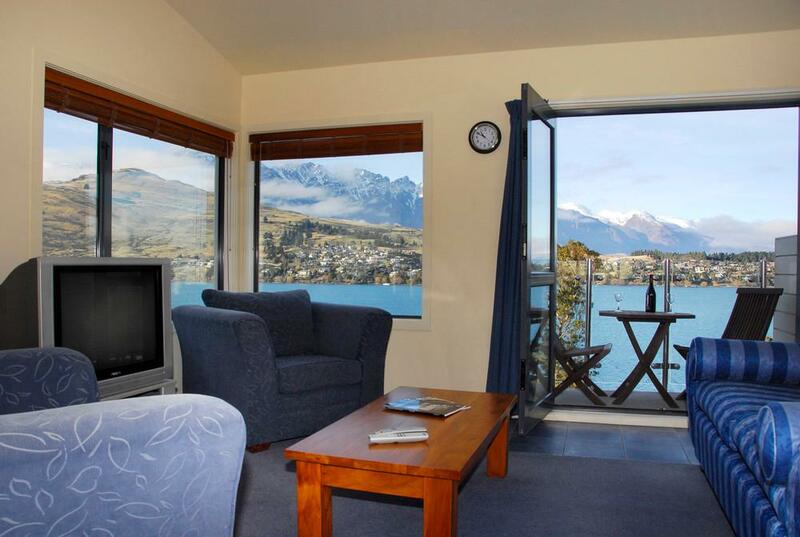 Very beautiful lake view Slightly inconvenient for those with a lot of luggages as the access to the apartment entrance has quite a bit of stairs No free wifi is a letdown Well equipped kitchen but some of the kitchen appliances are not clean. Location, rooms standard and Lake views. We loved these apartments. The facilities were excellent with a great kitchen and en suite bathrooms in both rooms. The view from our balcony was great at night and day. 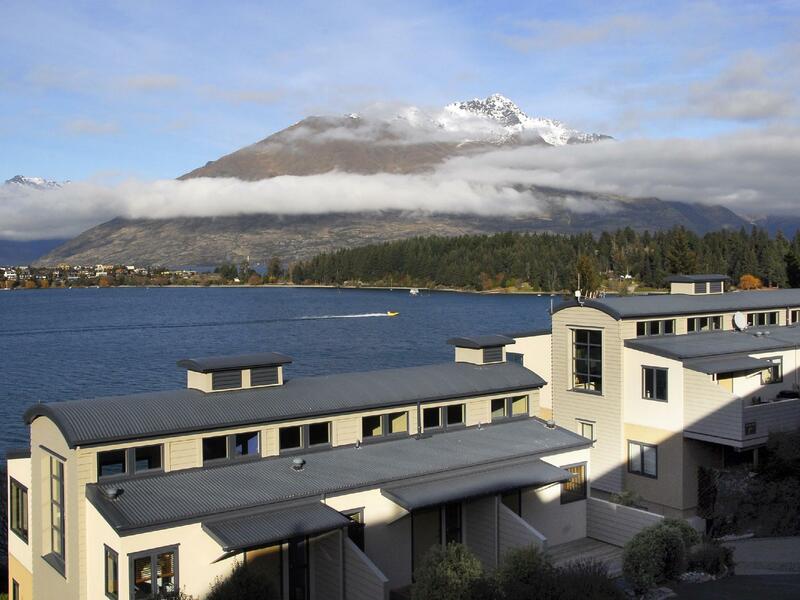 Whilst it was not cheap, it was quite good value for Queenstown. There are so many things to do around this area. You need to have plenty of time and money, as nothing is cheap! Nice stay, very nice lake view! Great late check in via phone and safe box. Close to the city by car. Great jogging path at the shoreline of the lake. Excellent and very helpful owner, who helped us get back the jackets that we forgot in the closet! . Thank you so much again! 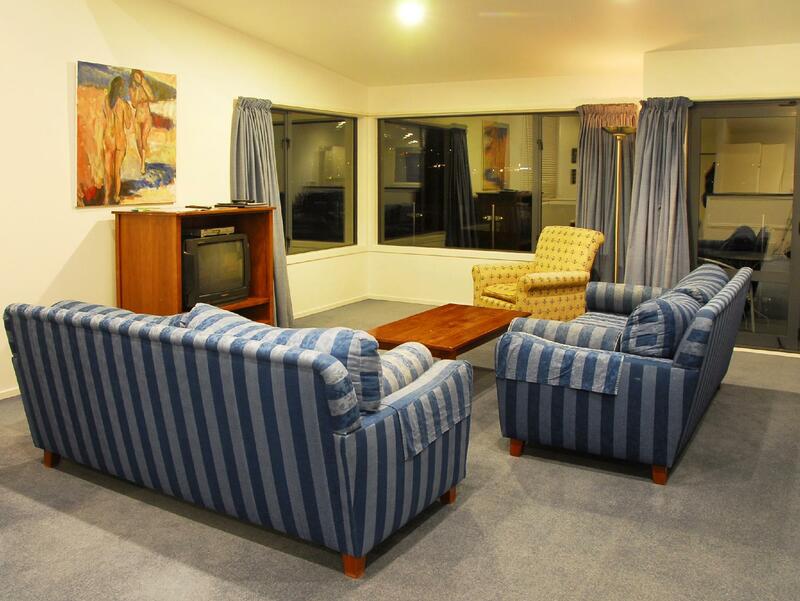 The studio apartment is large with separate lounge room. It is quiet and the view of the lake from sliding door is beautiful. The driveway is steep and steep walk from the road to the apartment is not suitable for elderly people. Most of the guests drive so not a problem for them. Wifi is available in reception area and outside. Overall, it is a nice apartment. 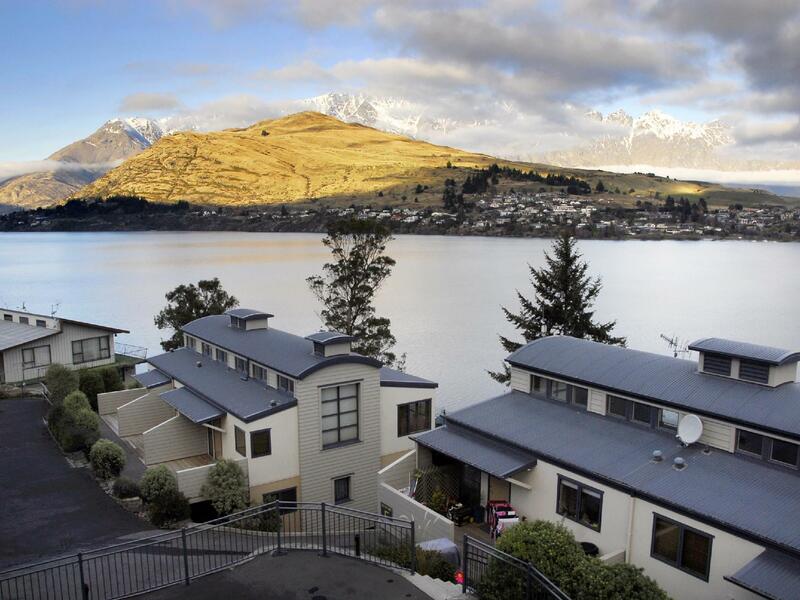 Also a nice place in Queenstown. Great view of the lake and mountains. 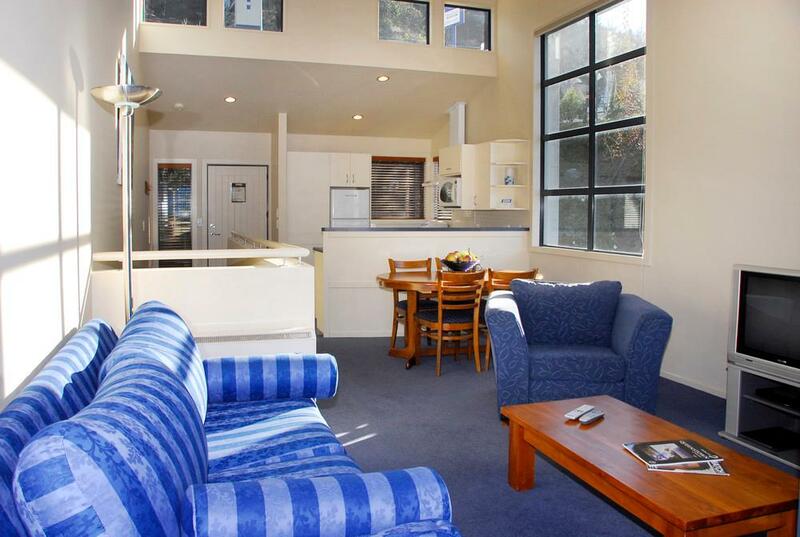 Near the town centre and a really good apartment style for families. Laundry facilities in room and decent size bathroom and living area. A must visit. This motel is above average but the facilities are a bit old, a bit difficult to drive up to the main road due to 50 degree slope. The hotel provide full cooking facilities. Nice lake view. They did not provide free internet access. Very expensive internet rate NZ$24 if you need it for a week with limited volume. 7-10 minutes drive to town center. They did not clean up the room even I stayed for 4 nights. I have to use the same towels and throw the rubbish by myself. Brilliant. Lovely helpful staff and very comfortable accommodation. Not too far out of town and we would walk along the water to main town area and spent $12 for a taxi back after dark. Suggest if you are going skiing or snowboarding for the first time to book the whole package including ski gear as hiring separately is too much trouble getting fitted one day, picking up and dropping off to a place separate from the tour bus group. Nice enough room on a budget. Good hot water and heating. Nice view of the lake and mountains. 25min walk to town or $15 taxi ride each way. we were stayed in 3 bedroom unit for 3 nights, we love it's balcony with Mt. remarkable and lake view. all the bedrooms are spacious, clean and comfortable. 1.) Not wifi provide due to Intranet out of function. 2.) 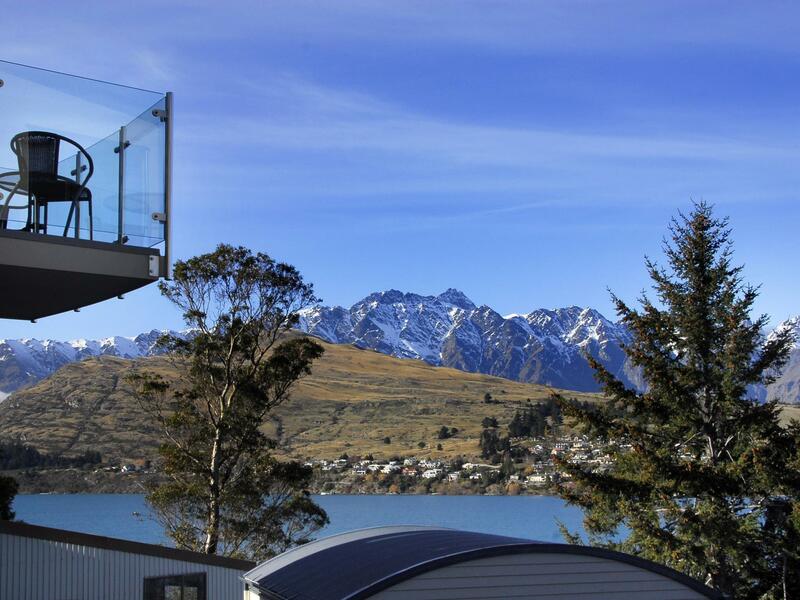 Good location at queentown. 3.) Good condition for kitchenware. 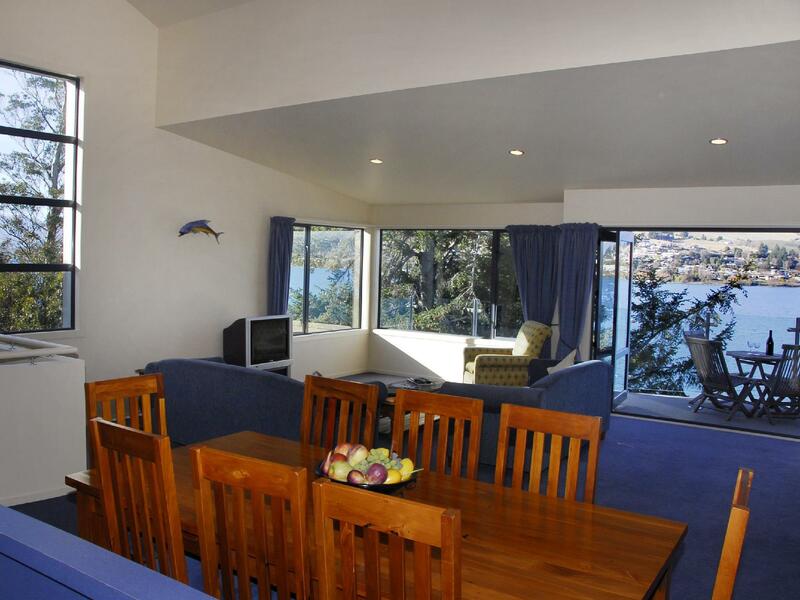 Nice walkup apartment with room facing the lake. Not far from down for those driving. We have a nice stay for 3 nights. View is good and the facilities are good too. It will be perfect if there is with free wifi. We are a group of 6 adults and the apartment is perfect for us. Location is good and the hotel is very well maintained. The view is excellent. Love it so much and it is highly recommended. We enjoyed staying in Breakfree The Point. Fabulous view over the lake and mountains. We can just sit and relax enjoying the view. The only setback is the location is lil far the town.